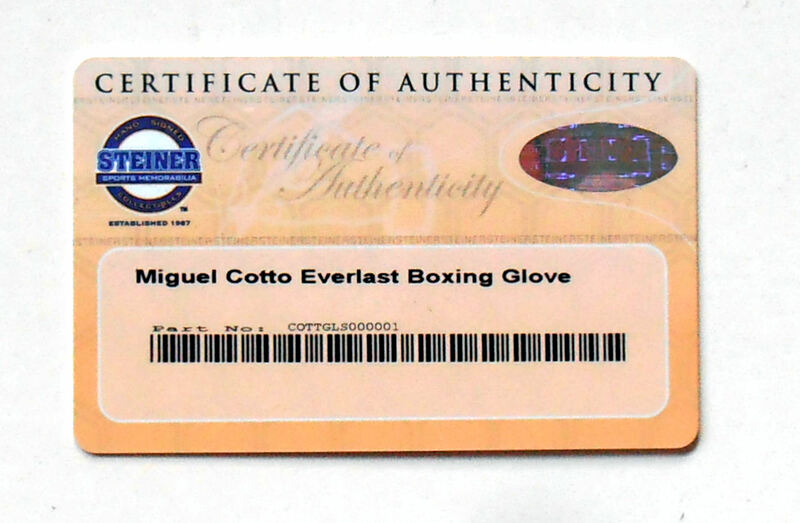 Description : Here we have a superb 12oz everlast glove signed by Ruerto Rico Icon Miguel Angel Cotto........ Cotto began his professional career in 2001, and on September 11, 2004, he defeated Kelson Pinto for the WBO junior welterweight championship. He defended the title successfully a total of six times, before vacating it when he ascended to the welterweight division.......On his first match on this division he defeated Carlos Quintana for the vacant WBA welterweight championship. Cotto successfully defended this title against Oktay Urkal, Zab Judah, Shane Mosley and Alfonso Gómez, before losing it to Antonio Margarito. On February 21, 2009, he defeated Michael Jennings to win the vacant WBO welterweight championship. Defending the title against Joshua Clottey before losing it to Manny Pacquiao on November 14, 2009. 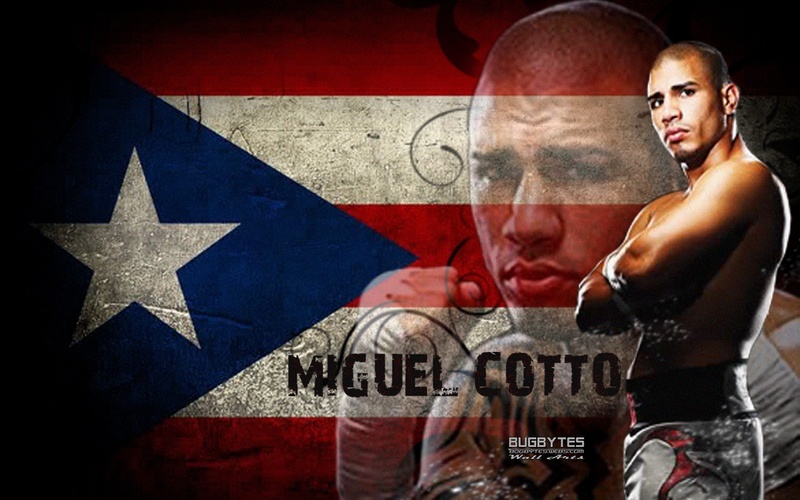 On June 5, 2010, Cotto competed in his first fight at the light middleweight division, defeating Yuri Foreman for the WBA super welterweight championship thus making Cotto a 3 divisional champion. 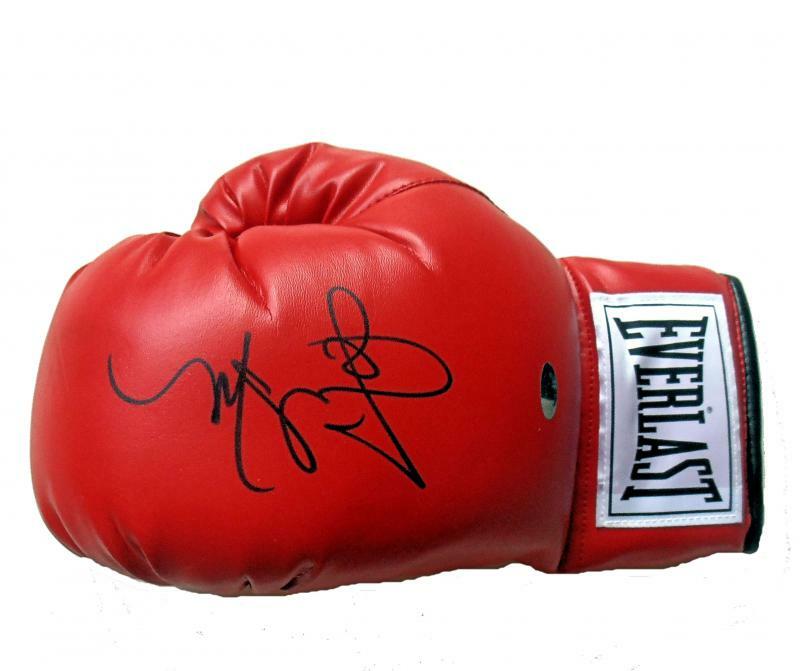 Cotto is one of the much loved boxers on the planet, cool calm & classy in & out of the ring & a def 1st round ballot for HOF entry.......This glove comes with the COA from 'Steiner Sports Memorailia' along with a lifetime and beyond guarantee of authenticity from KOfightposters.com.